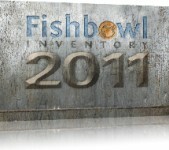 Fishbowl Inventory is the #1-Selling Inventory Control Program for QuickBooks. If you enjoy using QuickBooks as your accounting solution but need better inventory control, then Fishbowl Inventory is the answer for you! Fishbowl Inventory was one of the first programs to integrate with QuickBooks and currently holds Gold Developer Status, Intuit's highest award for third-party integrators. Many organizations looking to track their assets also use Fishbowl as a powerful standalone solution. Fishbowl Inventory, the #1-Selling Inventory Management Software for QuickBooks, just got even better with the release of Fishbowl 2011. Fishbowl 2011 offers new features, like cycle counting, report customizability and easy access to reports through a new favorites list. Plus, it’s more user friendly with its brand-new user interface and increased stability.